It would be true to say that most pets are not massive fans of being bathed but their aversion to spending some time in the tub varies enormously. It is widely known that cats are particularly anti-water, whereas dogs can be quite enthusiastic about the idea of splashing around for a while and then shaking themselves dry without any regard as to who or what gets wet in the process. Although some things are true of both cats and dogs, they are sufficiently different as to justify us in giving separate advice for each of them, where appropriate. This varies between cats and dogs. Dogs are often up for it as often as you want, or need, to bath them whereas cats will hate you for days, even weeks if you get them even slightly wet. Cats are well known for being self-sufficient in the ablutions department, often spending long periods, several times a day, cleaning and grooming themselves. Further intervention on your part is often largely unnecessary and your cat will require only occasional bathing, if they need it at all. Cat owners cannot always avoid the need to bath their pets however. Some common reasons for needing to bath kitty include dealing with flea infestation, (although there are many excellent flea treatments available that do not require bathing) and removing substances that have become attached to their coats such as oil, grease and other contaminants. In some cases, where a cat is older and less able to groom themselves thoroughly, they may also need a helping hand. This can also apply to overweight pets whose movement may be restricted. 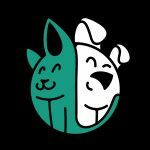 One piece of advice that applies in almost every case, to both cats and dogs, is “don’t bath them too often.” This should be taken as a rough guideline and all pets vary but we would say don’t do it if the animal doesn’t need it whilst, on the other hand, don’t neglect it if it does. Bear in mind that a wet pet will try hard to get dry all on its own and this usually means shaking off the water and trying to dry themselves on the surfaces of your furniture, rugs and carpets. We suggest setting aside a few old towels for pet drying purposes and spreading them around the bathing area to absorb the worst of the water. If possible, close the door to prevent escape attempts, until the animal is dry enough to be set free. Needless to say, pet towels should be washed after each use and not washed with other, non-pet, items. Always groom the animal first to get rid of dead hair, dead skin and other debris that may have become lodged in their coat. Use a suitable brush or comb that is specifically designed for dog or cat grooming. This will remove knots and tangles too. 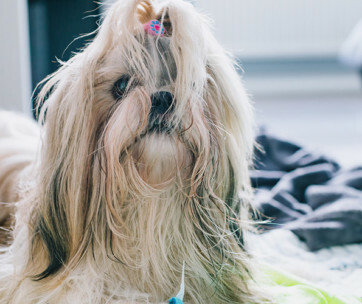 Many breeds of dogs and cats shed their coats naturally and it builds up into a layer of matted hair which can cause problems with the skin, if not removed regularly. 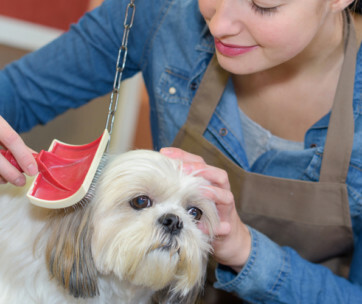 Professional pet groomers often do use hairdryers and that’s understandable because they have time constraints, but natural drying is preferable if you can spare the time and if your pet can be restrained enough to prevent them from making your living and other areas wet. 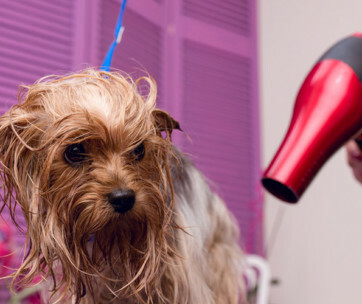 One of the problems we often hear about with hairdryers is that it is easy to accidentally burn your pet as their levels of heat sensitivity are different to our own. Use them, carefully, if you need to but avoid if you can. Your pet’s natural skin ph. value is different to that of a human being which means that soaps and shampoos that have been formulated for human use can easily be too strong for pets and cause discomfort or a skin reaction which may be painful or distressing for the animal. 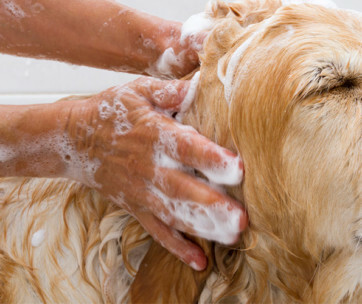 Even mild human shampoos can have a drying effect on the animal’s skin, so it is best to avoid human toiletries completely. There are plenty of excellent pet-friendly products on the market at very affordable prices so you can bath your cat or dog without fear of causing them any problems or discomfort. 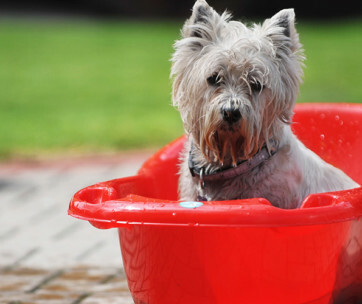 Mistake 6: Using Water at the Wrong Temperature; Some Like it Hot, But Pets Really Don’t! Many people find the prospect of a hot shower something to look forward to, to savour and enjoy, but the same is not true of cats and dogs. As we have already said, cats generally dislike water at any temperature whereas dogs are often happy to dive into rivers, the sea and other places where the water might be quite cold. This is often because they are hot and want to cool down. Using water that is lukewarm, (i.e. you should be able to put your elbow in the water and not feel the slightest discomfort), is what to aim for when bathing or showering cats or dogs. Someone once said to me, “if you wouldn’t put a baby in it, don’t put your pet in it,” which is probably sound advice. Mistake 7: Dress Appropriately, Expect to Get Soaked! Don’t wear your best, or even good, clothes to bath your pet. It is best to put on a waterproof outdoor coat to do the deed. Add to this the fact that they might struggle a bit, which with cats’ claws can be quite dangerous, painful and damaging to good clothes. Wear something sensible, and old! Slipping is a hazard for those of us with two legs, especially when the surface we are standing on is wet and slippery. Well, the problem is even greater for those with twice as many legs, it is all too easy for a cat or dog to slip and hurt themselves in a bath or shower or when running around afterwards to get dry faster. Buy yourself a cheap and cheerful non-slip bath or shower mat to reduce the risk of injury or, if not, just place an old towel in the tub or shower and on the floor surrounding it. When pets are concerned, bribery works! 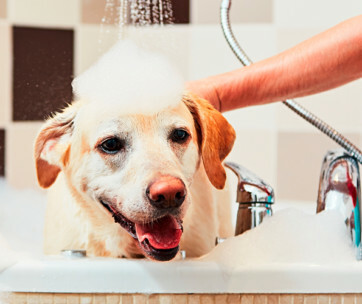 If your pet is cooperative during the bathing process, or even if they are not, don’t forget to reward them with their favorite treat once the job is done. It probably won’t make them more cooperative next time but hey, you love them, don’t you? Give them a treat.